The iMusic Pillow speaker allows you to listen to your music from your smartphone or mp3 player in bed without disturbing those around you. 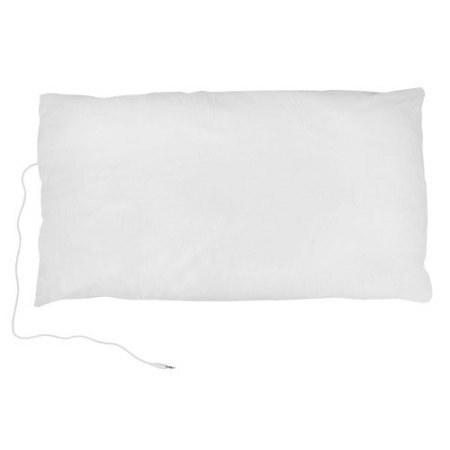 Using adapted headphone technology, the sound transmits through the pillow at a comfortable listening level. I bought this pillow as a gift for my husband and he loves it. Comfy and great sound comes from it. Recommend. The iMusic Pillow allows you to drift off in total comfort while being soothed by your favourite music without disturbing those around you thanks to the clever built-in technology that allows you to hear the music without it leaking loudly and upsetting your partner. 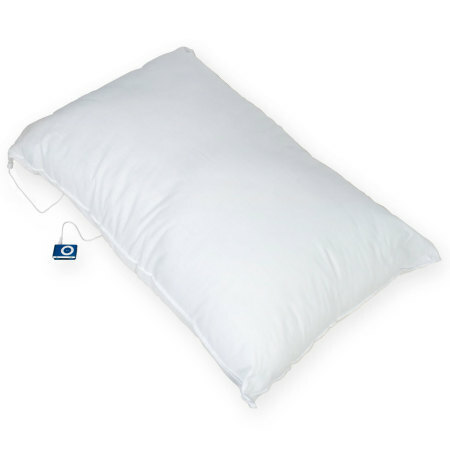 With a soft inner, the iMusic Pillow performs just like a top of the range pillow providing excellent comfort and support at all times. Not only does the iMusic Pillow provide fantastic comfort, but it also delivers exceptional music clarity and quality - so good that you'll think you have your earphones in. Always wanted to learn a new language, but never have the time to study? 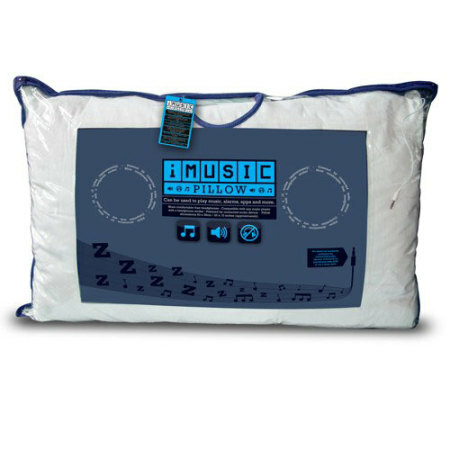 Well with the iMusic Pillow you can learn while you sleep, simply plug your smartphone or MP3 Player into the pillow with the appropriate audio book downloaded and let the knowledge sink in. Also a fantastic way to listen to self-help audio books for those looking to give up smoking or improve self-confidence for example. The iMusic Pillow provides a comfortable source of entertainment for those long journeys, be it on a plane, train or just in the car - the iMusic Pillow is the perfect companion for any lengthy journey. All you need to get started is a music source such as your smartphone, tablet or MP3 player. 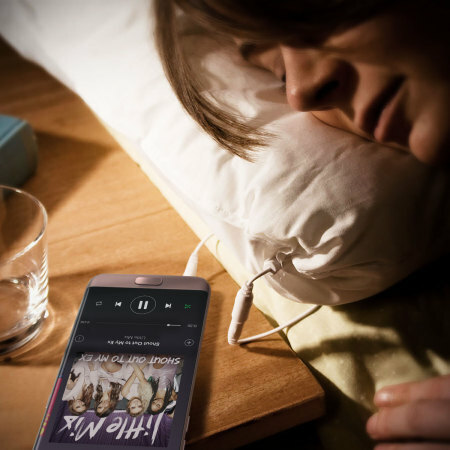 As long as it includes a 3.5mm stereo plug to connect to the pillow, you'll be able to sleep in comfort accompanied by your favourite tunes. The pillow will not emit any sound until it is connected to your device. The cable is removable to keep the pillow tidy and safe when it's not in use. Although you cannot machine wash the sound pillow, it can be wiped clean and air dried. Not recommended for children under 5 years. A music source is not included. Inaudible to your partner subject to player volume selected.